That’s right, we are going back to DrupalCon this year! From April 24th to 28th, SensioLabs will be in Baltimore to sponsor the North American Drupal conference of the year. What to expect from us this time? In order to warm you up before the serious stuff begins, we are delivering our best-seller training: D8 & Symfony: Dive Into the Core Concepts that Make Each Fly. Come and learn more about Symfony’s features included in the latest version of Drupal from of our finest talent! 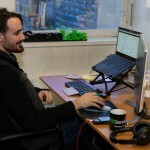 Ryan Weaver and Nicolas Grekas, both core members of the Symfony project, along with Beau Simensen are travelling from around the country and across the Atlantic to be able to attend the event and beef up your training. A Symfony track will be organized on Wednesday, April 26th. Enjoy a whole day that will cover many Symfony topics and features. You’ll be surprised and happy to learn all that you can do with Symfony in Drupal 8. We are very happy and excited to meet up and hang out with the Drupal community again this year, which is why we can’t wait to be in the Sponsor Village. 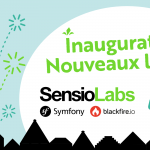 We look forward to hearing how you are using the framework and how you contribute to the Symfony project as well as our other products and tools such as Blackfire, Insight, and Twig. And for this year, we are bringing you a fantastic new solution: SensioCloud. We can’t wait to tell you more about it during the event. Book your tickets now, and plan your trip to Baltimore! It’s going to be an insightful and inspiring moment for all!